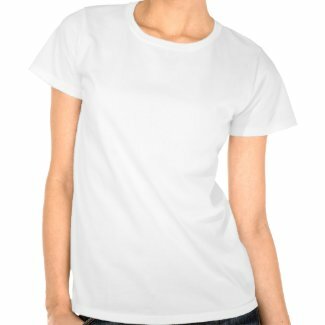 Do you like to build stuff? 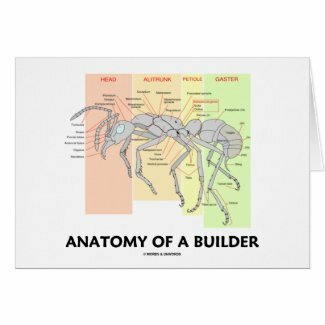 Face it, some of nature's finest builders are worker ants. 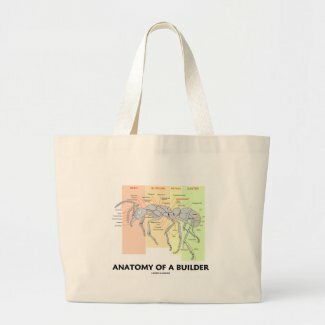 Showcase your wry naturalist side with any of these entomology gifts featuring worker ant anatomy, complete with all key labels, along with the caption "Anatomy Of A Builder". Make others do a double-take at what you mean with any of these educational, scientific gifts today!